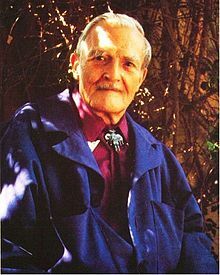 Milton Hyland Erickson, (5 December 1901 in Aurum, Nevada - 25 March 1980 in Phoenix, Arizona) was an American psychiatrist specializing in medical hypnosis and family therapy. He was founding president of the American Society for Clinical Hypnosis and a fellow of the American Psychiatric Association, the American Psychological Association, and the American Psychopathological Association. He is noted for his approach to the unconscious mind as creative and solution-generating. He is also noted for influencing brief therapy, strategic family therapy, family systems therapy, solution focused brief therapy, and neuro-linguistic programming. Erickson frequently drew upon his own experiences to provide examples of the power of the unconscious mind. He was largely self-taught and a great many of his anecdotal and autobiographical teaching stories are collected by Sidney Rosen in the book My Voice Will Go With You. Erickson identified many of even his earliest personal experiences as hypnotic or autohypnotic. At age 17, he contracted polio and was so severely paralysed that the doctors believed he would die. In the critical night when he was at his worst, he had another formative "autohypnotic experience". E: As I lay in bed that night, I overheard the three doctors tell my parents in the other room that their boy would be dead in the morning. I felt intense anger that anyone should tell a mother her boy would be dead by morning. My mother then came in with as serene a face as can be. I asked her to arrange the dresser, push it up against the side of the bed at an angle. She did not understand why, she thought I was delirious. My speech was difficult. But at that angle by virtue of the mirror on the dresser I could see through the doorway, through the west window of the other room. I was damned if I would die without seeing one more sunset. If I had any skill in drawing, I could still sketch that sunset. R: Your anger and wanting to see another sunset was a way you kept yourself alive through that critical day in spite of the doctors' predictions. But why do you call that an autohypnotic experience? E: I saw that vast sunset covering the whole sky. But I know there was also a tree there outside the window, but I blocked it out. R: You blocked it out? It was that selective perception that enables you to say you were in an altered state? E: Yes, I did not do it consciously. I saw all the sunset, but I didn't see the fence and large boulder that were there. I blocked out everything except the sunset. After I saw the sunset, I lost consciousness for three days. When I finally awakened, I asked my father why they had taken out that fence, tree, and boulder. I did not realize I had blotted them out when I fixed my attention so intensely on the sunset. Then, as I recovered and became aware of my lack of abilities, I wondered how I was going to earn a living. I had already published a paper in a national agricultural journal. "Why Young Folks Leave the Farm." I no longer had the strength to be a farmer, but maybe I could make it as a doctor. Recovering, still almost entirely lame in bed, and unable to speak, he became strongly aware of the significance of non-verbal communication - body language, tone of voice and the way that these non-verbal expressions often directly contradicted the verbal ones. I had polio, and I was totally paralyzed, and the inflammation was so great that I had a sensory paralysis too. I could move my eyes and my hearing was undisturbed. I got very lonesome lying in bed, unable to move anything except my eyeballs. I was quarantined on the farm with seven sisters, one brother, two parents, and a practical nurse. And how could I entertain myself? I started watching people and my environment. I soon learned that my sisters could say "no" when they meant "yes." And they could say "yes" and mean "no" at the same time. They could offer another sister an apple and hold it back. And I began studying nonverbal language and body language. I had a baby sister who had begun to learn to creep. I would have to learn to stand up and walk. And you can imagine the intensity with which I watched as my baby sister grew from creeping to learning how to stand up. He began to recall "body memories" of the muscular activity of his own body. By concentrating on these memories, he slowly began to regain control of parts of his body to the point where he was eventually again able to talk and use his arms. Still unable to walk, he decided to train his body further, by embarking - alone - on a thousand mile canoe trip with only a few dollars. After this grueling trip, he was able to walk with a cane. This experience may have contributed to Erickson's technique of using "ordeals" in a therapeutic context. (See below). Erickson was an avid medical student, and was so curious about and engaged with psychiatry that he got a psychology degree while he was still studying medicine. It usually takes me an hour after I awaken to get all the pain out. It used to be easier when I was younger. I have more muscle and joint difficulties now... Recently the only way I could get control over the pain was by sitting in bed, pulling a chair close, and pressing my larynx against the back of the chair. That was very uncomfortable: But it was discomfort I was deliberately creating. In 1973, Jay Haley published Uncommon Therapy, which for the first time brought Erickson and his approaches to the attention of those outside the clinical hypnosis community. His fame and reputation spread rapidly, and so many people wished to meet him that he began holding teaching seminars, which continued until his death. Erickson believed that the unconscious mind was always listening, and that, whether or not the patient was in trance, suggestions could be made which would have a hypnotic influence, as long as those suggestions found some resonance at the unconscious level. The patient can be aware of this, or can be completely oblivious that something is happening. Erickson would see if the patient would respond to one or another kind of indirect suggestion, and allow the unconscious mind to actively participate in the therapeutic process. In this way, what seemed like a normal conversation might induce a hypnotic trance, or a therapeutic change in the subject. It should be noted that "[Erickson's] conception of the unconscious is definitely not the one held by Freud." Because Erickson expected trance states to occur naturally and frequently, he was prepared to exploit them therapeutically, even when the patient was not present with him in the consulting room. He also discovered many techniques for how to increase the likelihood that a trance state would occur. He developed both verbal and non-verbal techniques, and pioneered the idea that the common experiences of wonderment, engrossment and confusion are, in reality, just kinds of trance. (These phenomena are of course central to many spiritual and religious disciplines, and are regularly employed by evangelists, cult leaders and holy men of all kinds). Clearly there are a great many kinds of trance. Many people are familiar with the idea of a "deep" trance, and earlier in his career Erickson was a pioneer in researching the unique and remarkable phenomena that are associated with that state, spending many hours at a time with individual test subjects, deepening the trance. That a trance may be "light" or "deep" suggest a one dimensional continuum of trance depth, but Erickson would often work with multiple trances in the same patient, for example suggesting that the hypnotised patient behave "as if awake", blurring the line between the hypnotic and awake state. Erickson believed there are multiple states that may be utilized. This resonates with Charles Tart's idea (put forward in the book Waking Up) that all states of consciousness are trances, and that what we call "normal" waking consciousness is just a "consensus trance". NLP also makes central use of the idea of changing state, without it explicitly being a hypnotic phenomenon. Where classical hypnosis is authoritative and direct, and often encounters resistance in the subject, Erickson's approach is permissive, accommodating and indirect. For example, where a classical hypnotist might say "You are going into a trance", an Ericksonian hypnotist would be more likely to say "you can comfortably learn how to go into a trance". In this way, he provides an opportunity for the subject to accept the suggestions they are most comfortable with, at their own pace, and with an awareness of the benefits. The subject knows they are not being hustled, and takes full ownership of, and participation in their transformation. Because the induction takes place during the course of a normal conversation, Ericksonian hypnosis is often known as Covert or Conversational Hypnosis. For example the authoritative "you will stop smoking" is likely to find less leverage on the unconscious level than "you can become a non-smoker". The first is a direct command, to be obeyed or ignored (and notice that it draws attention to the act of smoking), the second is an opening, an invitation to possible lasting change, without pressure, and which is less likely to raise resistance. The various descriptions of Erickson's hypnotic handshake, including his own very detailed accounts, indicate that a certain amount of improvisation is involved, and that watching and acting upon the subject's responses is key to a successful outcome. Initiation: When I begin by shaking hands, I do so normally. The "hypnotic touch" then begins when I let loose. The letting loose becomes transformed from a firm grip into a gentle touch by the thumb, a lingering drawing away of the little finger, a faint brushing of the subject's hand with the middle finger - just enough vague sensation to attract the attention. As the subject gives attention to the touch of your thumb, you shift to a touch with your little finger. As your subject's attention follows that, you shift to a touch with your middle finger and then again to the thumb. This arousal of attention is merely an arousal without constituting a stimulus for a response. The subject's withdrawal from the handshake is arrested by this attention arousal, which establishes a waiting set, and expectancy. Then almost, but not quite simultaneously (to ensure separate neural recognition), you touch the undersurface of the hand (wrist) so gently that it barely suggests an upward push. This is followed by a similar utterly slight downward touch, and then I sever contact so gently that the subject does not know exactly when - and the subject's hand is left going neither up nor down, but cataleptic. Termination: If you don't want your subject to know what you are doing, you simply distract their attention, usually by some appropriate remark, and casually terminate. Sometimes they remark, "What did you say? I got absentminded there for a moment and wasn't paying attention to anything." This is slightly distressing to the subjects and indicative of the fact that their attention was so focused and fixated on the peculiar hand stimuli that they were momentarily entranced so they did not hear what was said. Utilisation: Any utilisation leads to increasing trance depth. All utilisation should proceed as a continuation of extension of the initial procedure. Much can be done nonverbally; for example, if any subjects are just looking blankly at me, I may slowly shift my gaze downward, causing them to look at their hand, which I touch and say "look at this spot.". This intensifies the trance state. Then, whether the subjects are looking at you or at their hand or just staring blankly, you can use your left hand to touch their elevated right hand from above or the side - so long as you merely give the suggestion of downward movement. Occasionally a downward nudge or push is required. If a strong push or nudge is required, check for anaesthesia. Jay Haley identified several strategies, which appeared repeatedly in Erickson's therapeutic approach. Some people might react to a direction by thinking "why should I?" or "You can't make me", called a polarity response because it motivates the subject to consider the polar opposite of the suggestion. The conscious mind recognizes negation in speech ("Don't do X") but according to Erickson, the unconscious mind pays more attention to the "X" than the injunction "Don't do". Erickson thus used this as the basis for suggestions that deliberately played on negation and tonally marked the important wording, to provide that whatever the client did, it was beneficial: "You don't have to go into a trance, so you can easily wonder about what you notice no faster than you feel ready to become aware that your hand is slowly rising....."
Prescribing the Symptom and Amplifying a Deviation - Very typically, Erickson would instruct his patients to actively and consciously perform the symptom that was bothering them (see the nailbiting example under Resistance), usually with some minor or trivial deviation from the original symptom. In many cases, the deviation could be amplified and used as a "wedge" to transform the whole behaviour. A friend and colleague of Erickson, the hypnosis researcher Andr?? Weitzenhoffer, a prolific and well-respected author in the field of hypnosis himself, has extensively criticised the ideas and influence of Erickson in various writings, such as his textbook The Practice of Hypnotism. It should be noted that Weitzenhoffer displays a clear, and explicitly stated, bias against Ericksonian Hypnosis in his book, in favor of what he terms the semi-traditional, scientific, approach. The author Jeffrey Masson dedicated a whole sub-section of his book Against Therapy to criticism of Milton Erickson. Masson questions the accuracy of Erickson's case reports. Regarding Erickson's report of a female patient who was allegedly hypnotised to have spontaneous orgasms throughout the day, Masson writes, "The whole thing is tinged with fantasy and has a feeling of unreality about it." Masson was particularly concerned by Erickson's own reports of cases in which he acted in a manner he felt might be construed as sexually inappropriate. He even goes so far as to suggest that Erickson may have obtained "sexual pleasure" from cases like the following, where he reports asking a young female client to gradually strip naked in his office, allegedly as a psychotherapeutic exercise. Self-professed "sceptical hypnotist" Alex Tsander cited Massons concerns in his 2005 book "Beyond Erickson: A Fresh Look at "The Emperor of Hypnosis"". The title of which alludes to Charcot's characterisation in the previous century as "The Emperor of the Neuroses". Tsander re-evaluates a swathe of Ericksons accounts of his therapeutic approaches and lecture demonstrations in the context of scientific literature on hypnotism and his own experience in giving live demonstrations of hypnotic technique. Emphasising social-psychological perspectives, Tsander introduces an "interpretive filter" with which he re-evaluates Erickson's own accounts of his demonstrations and introduces prosaic explanations for occurrences that both Erickson and other authors tend to portray as remarkable. The majority of today's Ericksonians consist of individuals who have never known Erickson, even less been directly trained by him. Today, and for some time now, much of the teaching of the Ericksonian approach is and has been done by individuals who have acquired their knowledge second and third hand. [...] Some of those who did spend time with Erickson, like Jeffrey Zeig, Ernest Rossi, and William O'Hanlon have tried, I believe, to present and preserve as much as they could what they believed and have understood Erickson's thought and methods to be. They have succeeded to do so to a fair degree. Others, like Richard Bandler and John Grinder have on the other hand, offered a much adulterated, and at times fanciful, version of what they perceived Erickson as saying and doing guided by their personal theorizing. [...] Further distortions have resulted outside of the United States due to translation problems as well as for other reasons. More and more the Ericksonians have become a heterogeneous group of practitioners. One of his first students and developers of his work was Jay Haley. Other important followers include Stephen Gilligan, Jeffrey K. Zeig, Stephen R. Lankton and Stephen Brooks. It has been claimed that Erickson was modeled (see Milton model) by Richard Bandler and John Grinder, the co-founders of Neuro-linguistic programming (NLP). In the sphere of business coaching and training, he influenced the methods that behaviour training companies, such as Erickson College International, Krauthammer, used in communicating with coachees and training participants. Please note: these four volumes are sometimes made available digitally under the misleading (and erroneous) name 'Complete Works'. Beyond Erickson: A Fresh Look at "The Emperor of Hypnosis", Milton H. Erickson by Alex Tsander (Summitother,Bristol, 2005. ISBN 0-9550731-0-3). Look up Ericksonian Hypnosis in Wiktionary, the free dictionary. Please browse our fully updated library of professionally produced Hypnosis Downloads and Hypnosis Scripts for advanced self hypnosis audio mp3s and indirect hypnotherapy scripts relating to: ericksonian hypnosis, ericksonian hypnosis and resistance, ericksonian hypnosis definition, confusion technique, ericksonian therapy, family therapy, handshake induction, indirect suggestion, indirect technique, medical hypnosis, milton erickson, milton erickson hypnosis, milton h erickson, milton hyland erickson, solution-generating, the milton model, unconscious mind, what is ericksonian hypnosis. Please browse our Hypnosis Online Store for books, cds, downloads, dvds, ebooks, mp3s, scripts, and videos relating to: ericksonian hypnosis, ericksonian hypnosis and resistance, ericksonian hypnosis definition, confusion technique, ericksonian therapy, family therapy, handshake induction, indirect suggestion, indirect technique, medical hypnosis, milton erickson, milton erickson hypnosis, milton h erickson, milton hyland erickson, solution-generating, the milton model, unconscious mind, what is ericksonian hypnosis. Please visit Hypnotic-world.co.uk for advanced self hypnosis audio mp3s, hypnosis courses, and hypnosis pdf relating to: ericksonian hypnosis, ericksonian hypnosis and resistance, ericksonian hypnosis definition, confusion technique, ericksonian therapy, family therapy, handshake induction, indirect suggestion, indirect technique, medical hypnosis, milton erickson, milton erickson hypnosis, milton h erickson, milton hyland erickson, solution-generating, the milton model, unconscious mind, what is ericksonian hypnosis. Please visit Hypnotic-world.com for more information relating to: ericksonian hypnosis, ericksonian hypnosis and resistance, ericksonian hypnosis definition, confusion technique, ericksonian therapy, family therapy, handshake induction, indirect suggestion, indirect technique, medical hypnosis, milton erickson, milton erickson hypnosis, milton h erickson, milton hyland erickson, solution-generating, the milton model, unconscious mind, what is ericksonian hypnosis.